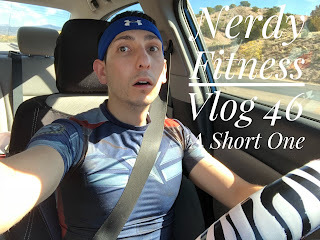 I, Pablo Gunner, chat about Nerdy Fitness which includes nerdy stuff, fitness stuff like workouts, food/diet, music/workout music, comics, video juegos, shows, anime, y mas. 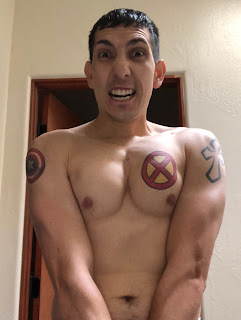 I talk about how its a short week because of Santa Fe Comic Con, buddying up with other guys from work at the gym to do new workouts. I did chin-ups, pull-ups, wide grip, push-ups, sit-ups, 20 minute 2.67 mile treadmill run, 1 minute sprint/rest treadmill intervals, shoulders, ate green chile chicken stew, cheese stick, snack pack, naranjo, cod, chicken potato burrito, egg bacon potato burrito, watermelon popsicle, strawberry yogurt bar, Noosa yogurt, salmon, whole wheat grain bunny crackers, the con food, shows: Marvel's Inhumans, Rebels, Mindhunter, comics: Mojoverse, Spider-Man, Green Lanterns, Metal, gaming: Mass Effect: Andromeda, Metroid: Samus Returns, ask what your favorite sandwich is and why as I do the same, y mas.